Below are definitions of some of the most commonly used terms in the shipping and logistics world. ABI-AUTOMATED BROKER INTERFACE: A system available to brokers with the computer capabilities and customs certification to transmit and exchange customs entries and other information, facilitating the prompt release of imported cargo. ABS: American Bureau of Shipping: A U.S.-based private classification, or standards setting society for merchant ships and other marine systems. AD VALOREM: Latin for “according to the value.”(1) An ad valorem duty is an import duty based on the value of an article as defined in the customs law of a particular country, rather than on weight or volume. A percentage of that value is charged, for example, 5% ad valorem. (2) A freight rate set at a certain percentage of the value of an article is known as an ad valorem rate. ADMEASUREMENT: The confirmed or official dimensions of a ship. ADMIRALTY COURT: A court having jurisdiction over maritime questions pertaining to ocean transport, including contracts, charters, collisions, and cargo damages. ADVISING BANK: A bank operating in the exporter’s country that handles letters of credit for a foreign bank by notifying the exporter that the credit has been opened in his favor. AFFREIGHTMENT, CONTRACT OF: An agreement by a steamship line to provide cargo space on a vessel at a specified time and for a specified price to accommodate an exporter or importer who then becomes liable for payment even though he is later unable to make the shipment. AFTIn, near, or toward the stern of the vessel. AGENCY AGREEMENT: An agreement whereby the steamship line appoints the steamship agent and defines the specific duties and areas of responsibility of that agent. AHT (ANCHOR-HANDLING TUG): Moves anchors and tow drilling vessels, lighters and similar. AHTS (ANCHOR-HANDLING TUG/SUPPLY): Combined supply and anchor-handling ship. Seismic ship: Conducts seismic surveys to map geological structures beneath the seabed. AMIDSHIPS: Generally speaking the word amidships means in the middle portion of a vessel. ANTI-TRUST EXEMPTION: The immunity from prosecution under the Sherman Act, granted to steamship companies in 1916, in recognition of the special services and value American Flag merchant vessels provide in the defense of the country in time of war. ARBITRATION CLAUSE: A standard clause to be included in the contracts of exporters and importers, as suggested by the American Arbitration Association. It states that any controversy or claim will be settled by arbitration in accordance with the rules of the American Arbitration Association. ARTICLES OF AGREEMENT: The document containing all particulars relating to the terms of agreement between the Master of the vessel and the crew. Sometimes called ship’s articles, shipping articles. ASTERN: A backward direction in the line of a vessel’s fore and aft line; behind. If a vessel moves backwards it is said to move astern; opposite to ahead. AT SEA: In marine insurance, this phrase applies to a ship which is free from its moorings and ready to sail. AUTOMATED COMMERCIAL SYSTEM (ACS): The electronic system of the U.S. Customs Service, encompassing a variety of industry sectors, that permits online access to information in selected areas. AUTOMATED MANIFEST SYSTEM (AMS): The electronic system allowing a manifest inventory to be transmitted to the U.S. Customs Service data centre by carrier, port authority, or service centre computers. BACKHAUL: (1) Part or all of the return portion of a route over which a trailer or container has travelled; (2) A deviation to move cargo on the return leg of a voyage for the purpose of minimizing ballast mileage and thereby reducing transportation costs. BACKFREIGHT: The owners of a ship are entitled to payment as freight for merchandise returned through the fault of either the consignees or the consignors. Such payment, which is over and above the normal freight, is called back freight. BACKLETTER: Where a seller/shipper issues a ‘letter of indemnity’ in favour of the carrier in exchange for a clean bill of lading. May have only a limited value. Example: P & I problems. BAF (BUNKER ADJUSTMENT FACTOR): An adjustment in shipping charges to offset price fluctuations in the cost of bunker fuel. Also known as a Bunker Surcharge (B/S). BAGGED CARGO: Various kinds of commodities usually packed in sacks or in bags, such as sugar, cement, milk powder, onion, grain, flour, etc. BALLAST: Heavy substances loaded by a vessel to improve stability, trimming, sea keeping and to increase the immersion at the propeller. Seawater ballast is commonly’ loaded in most vessels in ballast tanks, positioned in compartments right at the bottom and in some cases on the sides, called wing tanks. On a tanker, the ballast is seawater that is taken into the cargo tanks to submerge the vessel to a proper trim. BALLAST MOVEMENT: A voyage or voyage leg made without any paying cargo in a vessel’s tanks. To maintain proper stability, trim, or draft, seawater is usually carried during such movements. BALLAST TANK: Compartments at the bottom of a ship or on the sides which are filled with liquids for stability and to make the ship seaworthy. Any shipboard tank or compartment on a tanker normally used for carrying salt-water ballast. When these compartments or tanks are not connected with the cargo system, they are called segregated ballast tanks or systems. BAREBOAT CHARTER: (1) A charter in which the bare ship is chartered without crew; the charterer, for a stipulated sum taking over the vessel for a stated period of time, with a minimum of restrictions; the charterer appoints the master and the crew and pays all running expenses. See Demise Charter. (2) Vessel contracts where charterers take overall responsibility for the operation of the vessel and expenses for a certain period. BARGE: Flat-bottomed boat designed to carry cargo on inland waterways, usually without engines or crew accommodations. Barges can be lashed together and either pushed or pulled by tugs, carrying cargo of 60,000 tons or more. Small barges for carrying cargo between ship and shore are known as lighters. BARGE ABOARD CATAMARAN: A way of loading cargo into large barges and then, in turn, loading the barges into a ship. BARGE CARRIERS: Ships designed to carry either barges or containers exclusively, or some variable number of barges and containers simultaneously. Currently, this class includes two types of vessels, the LASH, and the SEABEE. BBB: Before breaking bulk. Refers to freight payments that must be received before discharge of a vessel commences. BEAM: The width of a ship. Also called breadth. BELLY CARGO: Freight accommodation below the main deck. BERTH: The place beside a pier, quay, or wharf where a vessel can be loaded or discharged. BERTH C/P: A term used in a voyage charter party, e.g. vessel shall proceed to Berth 2 at Falmouth. BERTH CARGO: When a liner cargo vessel accepts extra cargo to fill the empty space remaining. BERTH LINER SERVICE: A regularly scheduled steamship line with regularly published schedules (ports of call) from and to defined trade areas. BERTH OR LINER TERMS: An expression covering assessment of ocean freight rates generally implying that loading and discharging expenses will be for the ship owner’s account, and usually applying from the end of the ship’s tackle in the port of loading to the end of the ship’s tackle in the port of discharge. BILL OF LADING: A document by which the Master of a ship acknowledges having received in good order and condition (or the reverse) certain specified goods consigned to him by some particular shipper, and binds himself to deliver them in similar condition, unless the perils of the sea, fire or enemies prevent him, to the consignees of the shippers at the point of destination on their paying him the stipulated freight. A bill of lading specifies the name of the master, the port and destination of the ship, the goods, the consignee, and the rate of freight. BILL OF LADING, CLAUSED: A bill of lading which has exemptions to the receipt of merchandise in “apparent good order” noted. BILL OF LADING, FORWARDER’S: A bill of lading issued by a forwarder to a shipper as a receipt for merchandise that the forwarder will consolidate with cargo obtained from other exporters and ship to his agent at the port of destination. In most cases, the Forwarder’s Bill of Lading has legal standing for banking purposes. Also called House Bill of Lading. BILL OF LADING, FOUL: A receipt for goods issued by a carrier bearing a notation that the outward containers or the goods have been damaged. BILL OF LADING, INLAND: A bill of lading used in transporting goods overland to the exporter’s international carrier. BILL OF LADING, OCEAN: A document defining the terms and conditions of carriage for transport of cargo by sea freight. BILL OF LADING, ON BOARD: A bill of lading acknowledging that the relative goods have been received on board for shipment on a specified vessel. BILL OF LADING, RECEIVED FOR SHIPMENT: A bill of lading acknowledging the receipt of goods by a carrier for shipment on a specified vessel. This type of bill of lading is not acceptable under a letter of credit unless it is specially authorized. English law does not regard these bills as a valid tender under CIF contracts because the CIF seller is obligated to ship the goods, and a Received for Shipment Bill of Lading is not considered proof of shipment. BILL OF LADING, STRAIGHT: A non-negotiable bill of lading whereby the consignee named in the bill is the owner of the relative goods. BILL OF LADING, THROUGH: A bill of lading that covers transportation by more than one carrier from the point of issue to the final destination (e.g., a bill from New York, via Kurabo, to Pampatar, Venezuela). BILL OF LADING, THROUGH RAILWAY EXPORT: A bill of lading showing the place of receipt by the carrier at an inland point, with transport to the port of exit accomplished using rail/intermodal connections. BILL OF LADING, UNCLEAN: A bill containing reservations as to the good order and condition of the goods or the packaging or both. Examples: bags torn, drums leaking, one case damaged, and rolls chafed. BILL OF SIGHT: A written description of goods given by an importer to a customs officer in the event shipping documents have not arrived in time and the importer wishes to avoid delayed entry charges. When an importer enters goods on a bill of sight, he usually must make a cash deposit covering the estimated amount of duty. When the shipping documents are received and a correct entry is made, the exact amount of duty is levied. BILLING CARRIER (BILL ROAD): The carrier performing the first line haul service of the movement. This carrier is responsible for preparing the waybill document. BLACK CARGO: Cargo banned by general cargo workers for some reason. This ban could be because the cargo is dangerous or hazardous to health. BOW THRUSTERS: A propeller at the lower sea-covered part of the bow of the ship which turns at right angles to the fore-and-aft line and thus provides transverse thrust as a maneuvering aid. BREAK BULK: The process of assimilating many small shipments into one large shipment at a central point so that economies of scale may be achieved; to commence discharge of cargo. BREAKBULK VESSEL: (1) A vessel designed to handle palletized, pre-slung, boxed, and unitized cargo. Holds can be at the open bay or between deck type. Between deck means, the hold can be converted from multi levels to open bay. This type of vessel is usually self-sustaining. (2) A general, multipurpose, cargo ship that carriers cargoes of non-uniform sizes, often on pallets, resulting in labor-intensive loading and unloading; calls at various ports to pick up different kinds of cargoes. BREAKPOINT: The weight at which freight charges change, e.g., 100 kilos. BRIDGE: Used loosely to refer to the navigating section of the vessel where the wheel house and chart room are located; erected structure amidships or aft or very rarely fore over the main deck of a ship to accommodate the wheelhouse. BROKER: A person or firm that establishes a connection between a buyer and a seller. Brokers operate in many fields: insurance, steamship transport, securities, drafts, and other phases of foreign trade. Not only do brokers bring buyers and sellers together, but they help to negotiate and close contracts and agreements between them. BROKERAGE: Percentage of freight payable to broker (by owners in c/p’s) or applicable to sale or purchase. BULK: Cargo shipped in loose condition and of a homogeneous nature. Cargoes that are shipped unpackaged either dry, such as grain and ore, or liquid, such as petroleum products. Bulk service generally is not provided on a regularly scheduled basis, but rather as needed, on specialized ships, transporting a specific commodity. BULK CARGO: Loose cargo that is loaded directly into a ship’s hold. BULK CARRIER: There are two types of bulk carriers, the dry-bulk carrier, and the liquid-bulk carrier, better known as a tanker. Bulk cargo is a shipment such as oil, grain, or one which is not packaged, bundled, bottled, or otherwise packed and is loaded without counting or marking. BULK SOLIDS: Dry cargo shipped in containers, loose and in bulk, without counting or marking. BUNKERS: Fuel consumed by the engines of a ship; compartments or tanks in a ship for fuel storage. BUOY: A floating object employed as an aid to mariners to mark the navigable limits of channels, their fairways, sunken dangers, isolated rocks, telegraph cables, and the like; floating devices fixed in place at sea, lake or river as reference points for navigation or for other purposes. C.I.F. : Cost, Insurance and Freight: Export term in which the price quoted by the exporter includes the costs of ocean transportation to the port of destination and insurance coverage. CABOTAGE: The carriage of goods or passengers for remuneration taken on at one point and discharged at another point within the territory of the same country. CABOTAGE: Where cargo is carried on what is essentially a domestic flight and therefore not subject to international agreements that fix set rates. Cabotage rates are negotiable between shipper and airline and apply on flights within a country and to its overseas territories. CAF (CURRENCY ADJUSTMENT FACTOR): A surcharge on freight charges by a carrier to offset foreign currency fluctuations. CARGO: Merchandise/commodities carried by means of transportation. CARGO HANDLING: The act of loading and discharging a cargo ship. CARGO INSURANCE: Insurance to protect the financial interest of the cargo owner during transportation in case of a loss. CARGO PLAN: A plan giving the quantities and description of the various grades carried in the ship’s cargo tanks, after the loading is completed. CARGO PREFERENCE: Reserving a portion of a nation’s imports and exports to national-flag vessels. CARGO RECEIPT: Receipt of cargo for shipment by a consolidator (used in ocean freight). CARGO RETENTION CLAUSES: Clauses introduced by charterers based on shortage of delivered cargo because of increased oil prices. CARNET: A customs document permitting the holder to carry or send merchandise temporarily into certain foreign countries without paying duties or posting bonds. CARRIAGE OF GOODS BY SEA ACT: A law enacted in 1936 covering the transportation of merchandise by sea to or from ports of the United States and in foreign trades. CARRIER CONTAINER/SHIPPER CONTAINER: A container over which the carrier or the shipper has control either by ownership or by the acquisition thereof under lease or rental from container companies or container suppliers or from similar sources. Carriers are prohibited from purchasing, leasing, or renting a shipper-owned container. CARRIERS: Owners or operators of vessels providing transportation to shippers. The term is also used to refer to the vessels. CATWALK: A raised bridge running fore and aft from the midship, and called “walkway.” It affords safe passage over the pipelines and other deck obstructions. CCF: Capital Construction Fund: A tax benefit for operators of U.S.-built, U.S.-flag ships in the U.S. foreign, Great Lakes, or noncontiguous domestic trades, by which taxes may be deferred on income deposited in a fund to be used for the replacement of vessels. CDS: Construction Differential Subsidy: A direct subsidy paid to U.S. shipyards building U.S.-flag ships to offset high construction costs in American shipyards. An amount of subsidy (up to 50 percent) is determined by estimates of construction cost differentials between U.S. and foreign yards. CERTIFICATE OF INSPECTION: A certificate usually required for industrial equipment and meat products. There are companies in every port city that specialize in issuing certificates of inspection for machinery. The Meat Inspection Division of the U.S. Department of Agriculture issues certificates of inspection for meat products that are recognized throughout the world. CERTIFICATE OF MANUFACTURE: A document used under a letter of credit containing an affidavit that goods have been manufactured and are being held for the account and risk of the buyer. In war times when transportation facilities are disrupted, it is common for letters of credit to be paid against presentation of a certificate of manufacture. This is rare in ordinary times, except in the case of specially manufactured goods. CERTIFICATE OF ORIGIN: A document containing an affidavit to prove the origin of imported goods. It is used for customs or foreign exchange purposes or both. Certificates of origin are commonly certified by an official organization in the country of origin such as a consular office or a chamber of commerce. CERTIFICATE OF REGISTRY: A document specifying the nation registry of the vessel. CFS CHARGE (CONTAINER FREIGHT CHARGE): The charge assessed for services performed at the loading or discharging port in the packing or unpacking of cargo into/from containers at CFS. CFS RECEIVING SERVICES: The service performed at the loading port in receiving and packing cargo into containers from CFS to CY or shipside. “CFS Receiving Services” referred herein are restricted to the following:(1) Moving empty containers from CY to CFS (2) Drayage of loaded containers from CFS to CY and/or ship’s tackle. (3) Tallying. (4) Issuing dock receipt/shipping order (5) Physical movement of cargo into, out of, and within CFS (6) Stuffing, sealing, and marking containers (7) Storage. (8) Ordinary sorting and stacking. (9) Preparing carrier’s internal container load plan. CFS/CFS (PIER TO PIER): The term CFS/CFS means cargo delivered by breakbulk to carrier’s container freight station (CFS) to be packed by carrier into containers and to be unpacked by carrier from the container at carrier’s destination port CFS. CFS/CY (PIER TO HOUSE): The term CFS/CY means cargo delivered breakbulk to carrier’s CFS to be packed by carrier into containers and accepted by consignee at carrier’s CY and unpacked by the consignee off carrier’s premises, all at consignee’s risk and expense. CHARTER AGREEMENT/CHARTER PARTY: A lease or agreement to hire an airplane, vessel, or other means of conveyance to transport goods to one or more designated locations. Among other specifications, the contract usually stipulates the exact obligations of the vessel owner (loading the goods, carrying the goods to a certain point, returning to the charterer with other goods, etc. ), or it provides for an outright leasing of the vessel to the charterer, who then is responsible for his own loading and delivery. In either case, the charter party sets forth the exact conditions and requirements agreed upon by both sides. CHARTER PARTY: A contractual agreement between a ship owner and a cargo owner, usually arranged by a broker, whereby a ship is chartered (hired) either for one voyage or a period of time. CHARTER RATES: The tariff applied for chartering tonnage in a particular trade. CHARTERER: The person to whom is given the use of the whole of the carrying capacity of a ship for the transportation of cargo or passengers to a stated port for a specified time. CHEMICAL TANKER: Specially designed for the transport of chemicals. CHIEF ENGINEER: Head of engineer department. Keeps records of all engine parts and repairs. Generally tends to the functioning of all mechanical equipment on ship. Calculates fuel and water consumption and requirements. Coordinates operations with shoreside port engineer. CHIEF ENGINEER: The senior engineer officer responsible for the satisfactory working and upkeep of the main and auxiliary machinery and boiler plant on board ship. CHIEF MATE: The officer in the deck department next in rank to the master; second in command of a ship. He is next to the master, most especially in the navigation and as far as the deck department is concerned. The chief mate assumes the position of the Master in his absence. CHIEF STEWARD: Orders food. Prepares menus. Assists chief cook in food preparation. CIA (CASH IN ADVANCE): A method of payment for goods whereby the buyer pays the seller before shipping the goods. CLASS RATES: A class of goods or commodities is a large grouping of various items under one general heading, and all items in the group make up a class. The freight rates that apply to all items in the class are called class rates. CLASSIFICATION: A customs term for the placement of an item under the correct number in the customs tariff for duty purposes. At times, this procedure becomes highly complicated; it is not uncommon for importers to resort to litigation over the correct duty to be assessed by customs on a given item. CLASSIFICATION SOCIETY: Worldwide experienced and reputable societies which undertake to arrange inspections and advise on the hull and machinery of a ship. A private organization that supervises vessels during their construction and afterward, in respect to their seaworthiness, and the placing of vessels in grades or “classes” according to the society’s rules for each particular type. It is not compulsory by law that a shipowner have his vessel built according to the rules of any classification society; but in practice, the difficulty in securing satisfactory insurance rates for an unclassed vessel makes it a commercial obligation. CLEAN DRAFT: A draft to which no documents have been attached. CLEAN SHIP: Refers to tankers which have their cargo tanks free of traces of dark persistent oils which remain after carrying crudes and heavy fuel oils. CNS (CARGO NETWORK SERVICES): An agency to which IATA forwarders pay their freight bills. COASTWISE: Domestic shipping routes along a single coast. COLLIER: Vessel used for transporting coal. COLLISION AVOIDANCE SYSTEM: Electronic system commonly used to prevent collisions in inland navigable waterways. COMBI: Combination passenger/cargo vessel; a vessel specifically designed to carry both containers and conventional cargoes. COMBINATION VESSELS: A type of ship that accommodates both container and breakbulk cargo. It can be either self-sustaining or non-self sustaining. Also known as a Container/Breakbulk Vessel. COMBINED SHIPS: Ships that can carry both liquid and dry bulk cargoes. COMMERCIAL INVOICE: An itemized list of goods shipped that is usually included among an exporter’s collection papers. COMMODITY SPECIALIST: An official authorized by the U.S. Treasury to determine the proper tariff and value of imported goods. COMMON CARRIER: Holds himself out for hire to the public. Must post rates and cannot discriminate against customers whose cargo he is equipped to carry. COMMON EXTERNAL TARIFF (CET OR CXT): A uniform tariff adopted by a customs union or common market on imports from countries outside the union. It is often a required part of the entry process. COMPLEMENT: The number of officers and crew employed upon a vessel for its safe navigation and operation. CONFERENCE: A group of vessel operators joined together for establishing freight rates. CONFERENCE: An affiliation of shipowners operating over the same route(s) who agree to charge uniform rates and other terms of carriage. A conference is “closed” if one can enter only by the consent of existing members of the conference. It is “open” if anyone can enter by meeting certain technical and financial standards. Conference members are common carriers. CONSIGNEE: (1) The receiver of freight shipped by the shipper (consignor) (2) -The individual or company to whom a seller or shipper sends merchandise and who, upon presentation of necessary documents, is recognized as the merchandise owner for the purpose of declaring and paying customs duties. CONSIGNEE: The person to whom cargo is consigned as stated on the bills of lading. CONSIGNEE MARK: A symbol placed on packages for identification purposes generally consisting of a triangle, square, circle, diamond, or cross, with letters or numbers as well as the port of discharge. CONSIGNMENT: The physical transfer of goods from a seller (consignor) with whom the title remains until the goods are sold, to another legal entity (consignee) that acts as a selling agent. Only if there is a subsequent sale does the seller receive any payment. CONSIGNOR: (1) The person by whom freight is shipped; shipper (2) A term used to describe any person who consigns goods to himself or to another party in a bill of lading or equivalent document. A consignor might be the owner of the goods, or a freight forwarder who consigns goods on behalf of his principal. CONSIGNOR: The person named in the bill of lading as the one from whom the goods have been received for shipment. CONSORTIUM: The name for an agreement under which several nations or nationals (usually corporations) of more than one nation join together for a common purpose (e.g., a shipping consortium). CONSTRUCTION UNIT: Equipped to assist during offshore construction and maintenance work. CONSUL: A government official residing in a foreign country charged with representing the interests of his or her country and its nationals. CONSULAR INVOICE: A document required by some countries describing a shipment of goods and showing information such as the consignor, consignee, and value of the shipment. Certified by a consular official, the country’s customs officials to verify the value, quantity, and nature of the shipment use a consular invoice. CONTAINER: (1) An open or enclosed structural unit designed for intermodal transport of commodities; many have standard corner fittings to secure them to highway chassis, rail cars, or ocean vessels, facilitating interchange among carriers in international trade; (2) A single, rigid, sealed, reusable metal “box” in which merchandise is shipped by vessel, truck, or rail. Container types include standard, high cube, hardtop, open top, flat, platform, ventilated, insulated, refrigerated, or bulk. Containers (except for flat-rack vehicle rack and portable liquid tank types) have a closure or permanently hinged door that allows ready access to cargo. All containers have constructions, fittings, and fastenings able to withstand, without permanent distortion, all stresses that may be applied in normal service use of continuous transportation. Containers must bear the manufacturer’s specifications. CONTAINER (OCEAN): (1) Designed to be moved inland on its own chassis, an ocean container can be loaded at the shipper’s plant for shipment overseas. The average outside dimensions are generally 20, 35, and 40 feet in length, 8 feet wide, and 8 feet high. (2) A van, flatrack, open top trailer or other similar trailer body on or into which cargo is loaded and transported without chassis aboard ocean vessels; a large rectangular or square container/box of a strong structure that can withstand continuous rough handling from ship to shore and back. It opens from one side to allow cargo to be stacked and stowed into it. CONTAINER SHIP: A ship constructed in such a way that she can easily stack containers near and on top of each other as well as on deck. A vessel designed to carry standard intermodal containers enabling efficient loading, unloading, and transport to and from the vessel. Oceangoing merchant ship designed to transport a unit load of standard-sized containers 8 feet square and 20 or 40 feet long. The hull is divided into cells that are easily accessible through large hatches, and more containers can be loaded on deck atop the closed hatches. Loading and unloading can proceed simultaneously using giant traveling cranes at special berths. Container ships usually carry in the range of 25,000 to 50,000 deadweight tons. Whereas a general-cargo ship may spend as much as 70 percent of its life in port loading and discharging cargo, a container ship can be turned around in 36 hours or less, spending as little as 20 percent of its time in port. This ship type is the result of American design innovation. Specialized types of container ships are the LASH and SeaBee which carry floating containers (or “lighters,”) and RoRo ships, which may carry containers on truck trailers. CONTAINERIZATION: A concept for the ultimate unitizing of cargo used by both steamship lines and air cargo lines. Containers allow a greater amount of cargo protection from weather, damage, and theft. CONTINUOUS BOND: An annual customs bond insuring compliance with all regulations and requirements. CONTRACT OF AFFREIGHTMENT (COA): A service contract under which a ship owner agrees to transport a specified quantity of fuel products or specialty products, at a specified rate per ton, between designated loading and discharge ports. This type contract differs from a spot or consecutive voyage charter in that no particular vessel is specified. CONTRACT RATE: This can refer to “service contract” rates which are low, favorable rates fixed over an extended period of time in exchange for which the carrier receives a volume commitment from the shipper. COOK AND BAKER (CHIEF COOK): Cooks and bakes. COUNTERTRADE: A reciprocal trading arrangement in which the seller is required to accept goods or other instruments or trade in partial or whole payment for its products. Common transactions include barter, buyback, counterpurchase, offset requirements, swap, switch; or triangular trade, evidence, or clearing accounts. COUNTERVAILING DUTIES: Special duties imposed on imports to offset the benefits of subsidies to producers or exporters of the exporting country. CROSS-TRADES: Foreign-to-foreign trade carried by ships from a nation other than the two trading nations. CUSTOMS BROKER: An individual or service company that transacts customhouse formalities on behalf of an importer. In the U.S.A., a customs broker must be licensed by the Treasury Department and pass a government examination covering a broad range of knowledge, including all phases of import regulations, rates of duties, and customs law. Licensing and requirements vary from country to country, so check with your local United Shipping Partner for details. CUSTOMS COURT: The court to which importers must appeal or protest decisions made by customs officers. CUSTOMS UNION: An agreement between two or more countries in which they arrange to abolish tariffs and other import restrictions on each other’s goods and establish a common tariff for the imports of all other countries. CWO (CASH WITH ORDER): A method of payment for goods where cash is paid at the time of order and the transaction becomes binding on both buyer and seller. D.W. (DEADWEIGHT): The maximum carrying capacity of a ship expressed in tons of cargo, stores, provisions, and bunker fuel. D.W.C. (DEADWEIGHT CARGO): Cargo of such weight and volume that a long ton (2,240 lbs) is stowed in an area of less than 70 cubic feet. DANGEROUS CARGO: All substances of an inflammable nature which are liable to spontaneous combustion either in themselves or when stowed adjacent to other substances and, when mixed with air, are liable to generate explosive gases or produce suffocation or poisoning or tainting of foodstuffs. DANGEROUS GOODS: Articles or substances capable of posing a significant risk to health, safety or property and that ordinarily require special attention when being transported. DAVITS: Two radial cranes on a ship which hold the lifeboats. They are constructed in such a way as to lower and lift the lifeboats the easiest way possible and are unobstructed in case of an emergency. DCA (DEPARTMENT OF CIVIL AVIATION): Denotes the government department of any foreign country that is responsible for aviation regulation and granting traffic rights. DDU (DELIVERED DUTY UNPAID): This reflects the emergence of “door-to-door” intermodal or courier contracts or carriage where only the destination customs duty and taxes (if any) are paid by consignee. DEAD FREIGHT: Freight charges paid by the charterer of a vessel for the contracted space that is left partially unoccupied. DEADFREIGHT FACTOR: Percentage of a ship’s carrying capacity that is not utilized. DEADWEIGHT/DWAT/DWCC: A common measure of ship carrying capacity. The number of tons (2240 lbs.) of cargo, stores and bunkers that a vessel can transport. It is the difference between the number of tons of water a vessel displaces “light” and the number of tons it displaces “when submerged to the ‘deep load line'”. A vessel’s cargo capacity is less than its total deadweight tonnage. The difference in weight between a vessel when it is fully loaded and when it is empty (in general transportation terms, the net) measured by the water it displaces. This is the most common, and useful, measurement for shipping as it measures cargo capacity. DECK CARGO: Cargo carried on deck rather than stowed under deck. On-deck carriage is required for certain commodities, such as explosives. DECK GANG: The officers and seamen comprising the deck department aboard ship. Also called deck crew, deck department, or just deck. DECK HOUSE: Small superstructure on the top deck of a vessel that contains the helm and other navigational instruments. DECK LOG: Also called Captain’s Log. A full nautical record of a ship’s voyage, written up at the end of each watch by the deck officer on watch. The principal entries are: courses steered; distance run; compass variations, sea and weather conditions; ship’s position, principal headlands passed; names of lookouts, and any unusual position, principal headlands passed; names of lookouts, and any unusual happenings such as fire, collision, and the like. DECK OFFICER: As distinguished from engineer officer, refers to all officers who assist the master in navigating the vessel when at sea, and supervise the handling of cargo when in port. DECKHAND: Seaman who works on the deck of a ship and remains in the wheelhouse attending to the orders of the duty officers during navigation and maneuvering. He also comes under the direct orders of the bosun. DEEP SEA TRADES: The traffic routes of both cargo and passenger vessels which are regularly engaged on the high seas or on long voyages. DEEP STOWAGE: Any bulk, bagged or other type of cargo stowed in single hold ships. DEFERRED REBATE: The return of a portion of the freight charges by a carrier or a conference shipper in exchange for the shipper giving all or most of his shipments to the carrier or conference over a specified period of time (usually six months). Payment of the rate is deferred for a further similar period, during which the shipper must continue to give all or most of his shipments to the rebating carrier or conference. The shipper thus earns a further rebate that will not, however, be paid without an additional period of exclusive or almost exclusive patronage with the carrier of conference. In this way, the shipper becomes tied to the rebating carrier or conference. Although the deferred rebate system is illegal in U.S. foreign commerce, it generally is accepted in the ocean trade between other countries. DEMISE CHARTER: See Bareboat Charter. DEMURRAGE: (1) A charge made on cars or other equipment held by or for consignor or consignee for loading or unloading, for forwarding directions or for any other purpose (2) A penalty for exceeding free time allowed for loading or unloading at a pier or freight terminal. Also a charge for undue detention of transportation equipment or carriers in port while loading or unloading. DEMURRAGE: A fee levied by the shipping company upon the port or supplier for not loading or unloading the vessel by a specified date agreed upon by contract. Usually, assessed on a daily basis after the deadline. DENSITY: Density means pounds per cubic foot. The cubage of loose articles or pieces, or packaged articles of a rectangular, elliptical, or square shape on one plane, shall be determined by multiplying the greatest straight line dimensions of length, width, and depth in inches, including all projections, and dividing the total by 1728 (to obtain cubic feet). The density is the weight of the article divided by the cubic feet thus obtained. DESPATCH: Time saved, reward for quick turnaround – in dry cargo only. DIM WEIGHT (DIMENSIONALIZED WEIGHT): An international airfreight formula determined by calculating length x width x height and dividing by 166. It is charged when the actual weight is less than the dimensionalized weight. DISABLED SHIP: When a ship is unable to sail efficiently or in a seaworthy state as a result of engine trouble, lack of officers or crew, damage to the hull or ship’s gear. DISCHARGES: An essential document for officers and seamen as it serves an official certificate confirming sea experience in the employment for which he was engaged. DOCK RECEIPT: When cargo is delivered to a steamship company at the pier, the receiving clerk issues a dock receipt. DOMESTIC OFFSHORE TRADES: Domestic shipping routes serving Alaska and non-continental U.S. States and territories. DRAFT: (1) An unconditional order in writing from one person (the Drawer) to another (the Drawee), directing the drawee to pay a specified amount to a named drawer on a fixed date. Also known as a Bill of Exchange. (2)The depth of a ship in the water. The vertical distance between the waterline and the keel, in the U.S. expressed in feet, elsewhere in meters. DRAWBACK: A remission of duty or charges paid, in whole or in part, when imported goods are re-exported or used in the manufacture of exported goods. DRAWEE: The individual or firm on whom a draft is drawn and who owes the stated amount to the drawer. DRILL SHIP: Regular ship shaped vessel, production ship. Positioned by anchors or dynamic positioning. Has its own propulsion machinery. DRILLING UNIT: Fitted with drilling rig (oil derrick with rotary drill and a mud pumping system), drilling for petroleum. DRY CARGO: Merchandise other than liquid carried in bulk. DRY CARGO SHIP: Vessel which carriers all merchandise, excluding liquid in bulk. DRY DOCK: An enclosed basin into which a ship is taken for underwater cleaning and repairing. It is fitted with water tight entrance gates which when closed permit the dock to be pumped dry. DST (DOUBLE STACK TRAIN): The transport by rail between two points of a trainload of containers with two containers per chassis, one on top of the other. DUAL PURPOSE SHIP: Specially constructed ship able to carry different types of cargoes such as ore and/or oil. DUNNAGE: A term applied to loose wood or other material used in a ship’s hold for the protection of cargo. ENGINE DEPARTMENT (Q.M.E.D. ): Trained in all crafts necessary to engine maintenance (welding, refrigeration, lathe operation, die casting, electricity, pumping, water purification, oiling, evaluating engine gauges, etc.) Usually watchstanders but on some ships day workers. ENTRY: A customs form used for the clearance of ships or merchandise. EVEN KEEL: When the draft of a ship fore and aft are the same. EXIMBANK (Export-Import Bank): A Federal agency that aids in financing exports of U.S. goods and services through direct loans, loan guarantees, and insurance. EXPORT BROKER: The individual who brings together buyer and seller for a fee, eventually withdrawing from any transaction. EXPORT DECLARATION: A form completed by the exporter or its authorized agent and filed in triplicate by a carrier with the U.S. Collector of Customs at the point of exit. It serves a twofold purpose:(1) Primarily, it is used by the U.S. Bureau of Census for the compilation of export statistics on U.S. foreign trade. (For this reason, an export declaration is required for practically all shipments from the U.S.A. to foreign countries and the U.S. possessions, except for mail shipments of small value or for those of a non-commercial character.) (2) The declaration also serves as an export control document because it must be presented, together with the export license, to the U.S. Customs at the port of export. If the goods may be exported under general export license, this fact must be stated on the export declaration. EXPORT TRADING COMPANY: A corporation or other business unit organized and operated primarily for the purpose of exporting goods and services, or of providing export-related services to other companies. EXPRESS: Premium-rated service for urgent deliveries. FAK (FREIGHT ALL KINDS): A carrier’s tariff description for products pooled and all shipped at one rate. FAK cargo is usually shipped in a container filled with different merchandise or commodities. FATHOM: A nautical measurement with the following conversion equivalents: 6 feet; 1.83 meters. FCL: Full Container Load, Full Car Load. FEDERAL MARITIME COMMISSION (FMC): The U.S. Federal agency responsible for overseeing rates and practices of ocean carriers that handle cargo at U.S. ports. FEEDER: A grain container or reservoir constructed around the hatchway between two decks of a ship which when filled with grain automatically feeds or fills in the vacant areas in the lower holds. FEEDER VESSEL: A vessel that connects with a line vessel to service a port not directly served by that line vessel. FEU: Forty Foot Equivalent Units (Containers). FIO: Free in and out. FLAG CARRIER: An airline or vessel of one national registry whose government gives it partial or total monopoly over international routes. Flat Bed Chassis – A semi-trailer with a level bed and no sides or tops. The floor is a standard height from the ground. FLAGS OF CONVENIENCE: The registration of ships in a country whose tax on the profits of trading ships is low or whose requirements concerning manning or maintenance are not stringent. Sometimes referred to as flags of necessity; denotes registration of vessels in foreign nations that offer favorable tax structures and regulations; also the flag representing the nation under whose jurisdiction a ship is registered. Ships are always registered under the laws of one nation but are not always required to establish their home location in that country. FLAT RACK: A container without sides or frame members at the front and back. It can be loaded from the sides and top. FLOATING OIL STORAGE: Oil stored on floating vessels. It has been the practice for oil to be stored in large laid-up oil tankers in order to offset the loss involved while the tankers are inactive. FOB (Free on Board): Export term in which the price quoted by the exporter does not include the costs of ocean transportation, but does include loading on board the vessel. FORCE MAJEURE: Clause limiting responsibilities of charterers, shippers and receiver of cargo. The title of a standard clause found in marine contracts exempting the parties for nonfulfillment of their obligations by reasons of occurrences beyond their control, such as earthquakes, floods, or war. FORECASTLE: The raised part of the forward end of a ship’s hull. The inside space may be used for crew accommodation or quarters, though on new ships this space is being used for the storage of paints, tackle, deck and engine stores, tarpaulins, etc. FOREIGN TRADE ZONE (FTZ): A port designated by the government for duty-free entry of any non-prohibited goods. Merchandise may be stored, displayed, and used for manufacturing within the zone and re-exported without duties being paid. Duties are imposed only when the original goods or items manufactured from those goods pass from the zone into an area of the country subject to customs authority. Also called a Free Trade Zone. FOREIGN TRADE ZONE ENTRY: A form declaring goods which are brought duty free into a Foreign Trade Zone for further processing or storage and subsequent exportation from the zone into the commerce of another country. FORWARD: At or in the direction of the bow. Also the fore part of the ship. FORWARDER, FREIGHT FORWARDER, FOREIGN FREIGHT FORWARDER: An independent business that dispatches shipments for exporters for a fee. The firm may ship by land, air, or sea, or it may specialize. Usually it handles all the services connected with an export shipment, including preparation of documents, booking cargo space, warehousing, pier delivery, and export clearance. The firm may also handle banking and insurance services on behalf of a client. The U.S. forwarder is licensed by the Federal Maritime Commission for ocean shipments. FREE IN (FI): Means the cost of loading a vessel is borne by the charterer. FREE IN AND OUT (FIO): Means the cost of loading and unloading a vessel is borne by the charterer. FREE OF CAPTURE AND SEIZURE (FC&S): An insurance clause providing that loss is not insured if due to capture, seizure, confiscation, and like actions, whether legal or not, or from such acts as piracy, civil war, rebellion, and civil strife. FREE OF PARTICULAR AVERAGE (FPA): A marine insurance clause relating to the recoverability of partial and total losses from perils of the sea. The American and English coverages vary as follows:(1) American Conditions (FPAAC). The underwriter does not assume responsibility for partial losses unless caused by sinking, stranding, burning, or colliding with another vessel. (2) English Conditions (FPAEC). The underwriter assumes responsibility for partial losses if the vessel is sunk, stranded, burned, on fire, or in collision, even though such an event did not actually cause the damage suffered by the goods. FREE OUT (FO): The cost of unloading a vessel is borne by the charterer. FREE PORT: A port which is a Foreign Trade Zone open to all traders on equal terms, or more specifically a port where merchandise may he stored duty-free pending reexport or sale within that country. FREIGHT: Money payable on delivery of cargo in a mercantile condition. FREIGHT FORWARDER: Arranges shipments for customers usually break bulk. Does not actually carry the cargo or conduct business for the ship. FREIGHT RATE: The charge made for the transportation of freight. FRUSTRATION: Charterers when canceling agreement sometimes quote ‘doctrine of frustration’ i.e. vessel is lost, extensive delays. GANG: A group of longshoremen, usually four to five members, with a supervisor assigned to a hold or portion of the vessel being loaded or unloaded. GANGWAY: A narrow portable platform used as a passage, by persons entering or leaving a vessel moored alongside a pier or quay. GAS TANKER: Specially designed for the transport of condensed (liquefied) gases. The most important gases are: ammonia, ethylene, LNG (Liquefied Natural Gas), which consists mainly of methane, and is cooled to a temperature of minus 163 degrees Celcius, and LPG (Liquefied Petroleum Gas) such as butane and propane. GATT (GENERAL AGREEMENT ON TARIFFS AND TRADE): A multilateral treaty intended to help reduce trade barriers and promote tariff concessions. GDP (Gross Domestic Product): The total value of goods and services produced by a nation over a given period, usually 1 year. GENERAL CARGO: A non-bulk oil cargo composed of miscellaneous goods. GENERAL EXPORT LICENSE: Any of various export licenses covering export commodities for which validated export licenses are not required. GENERAL ORDER WAREHOUSE: A government contract warehouse for the storage of cargoes left unclaimed for a designated number of days after availability. Unclaimed cargoes may later be auctioned publicly. GNP (Gross National Product): GDP plus the net income accruing from foreign sources. GOVERNMENT IMPELLED: Cargo owned by or subsidized by the Federal Government. GRAIN CAPACITY: Cubic capacity in “grain”. GREAT LAKES SHIP: Cargo ship developed to carry raw materials and manufactured goods on the Great Lakes. Most carry bulk cargoes of grain, iron ore, or coal. GROSS AND NET TONNAGE (GT AND NT): Gross tonnage is the basis on which manning rules and safety regulations are applied, and registration fees are reckoned. Port fees are also often reckoned on the basis of GT and NT. GT and NT are defined according to formulas which take account, among other things, of the volume of the vessel’s enclosed spaces (GT) and the volume of its holds (NT). GROSS FREIGHT: Freight money collected or to be collected without calculating the expenses relating to the running cost of the ship for the voyage undertaken. GROSS REGISTERED TONS: A common measurement of the internal volume of a ship with certain spaces excluded. One ton equals 100 cubic feet; the total of all the enclosed spaces within a ship expressed in tons each of which is equivalent to 100 cubic feet. GROSS WEIGHT: The full weight of a shipment, including containers and packaging materials. GROUNDING: Deliberate contact by a ship with the bottom while she is moored or anchored as a result of the water level dropping. HARBOR DUES: Various local charges against all seagoing vessels entering a harbor, to cover maintenance of channel depths, buoys, lights, etc. all harbors do not necessarily have this charge. HARBOR MASTER: A person usually having the experience of a certificated master mariner and having a good knowledge of the characteristics of the port and its whole area. He administers the entire shipping movements that take place in and within reach of the port he is responsible for. HARD AGROUND: A vessel which has gone aground and is incapable of refloating under her own power. HARD CURRENCY: A currency which is sound enough to be accepted internationally and which is usually fully convertible. HARMONIZED CODE: An internationally accepted and uniform description system for classifying goods for customs, statistical, and other purposes. HARMONIZED SYSTEM (HS): A key provision of the international trade bill, effective January 1, 1989, that established international uniformity for classifying goods moving in international trade under a single commodity code. HARTER ACT: (1893) This U.S. statute refers to merchandise or property transported from or between ports of the United States and foreign ports. Now partially superseded by the US Carriage of Goods by Sea Act of 1936. HATCH: The cover of, or opening in, the deck of a vessel through which cargo is loaded. HEAVY LIFT VESSEL: A vessel specifically designed to be self-sustaining with heavy lift cranes to handle unusually heavy or outsized cargoes. HEAVY LIFTS: Freight too heavy to be handled by regular ship’s tackle. HELM: A tiller or a wheel generally installed on the bridge or wheelhouse of a ship to turn the rudder during maneuvering and navigation. It is in fact the steering wheel of the ship. HI (OR HIGH) CUBE: Any container exceeding 102 inches in height. HOLD: A general name for the spaces below the main deck designated for stowage of general cargo. A hold on a tanker is usually just forward of #1 cargo tank. Some newer tankers have no hold. HULL: Shell or body of a ship. HUNDREDWEIGHT (CWT. ): Short ton hundredweight = 100 pounds. Long ton hundredweight = 112 pounds. HUSBANDING: A term used by steamship lines, agents, or port captains who are appointed to handle all matters in assisting the master of the vessel while in port to obtain such services as bunkering, fresh water, food and supplies, payroll for the crew, doctors appointments, and ship repair. ICC (2) (INTERNATIONAL CHAMBER OF COMMERCE): A non-governmental organization serving as a policy advocate on world business. ICTF (INTERMODAL CONTAINER TRANSFER FACILITY): An on-dock facility for moving containers from ship to rail or truck. IMO: International Maritime Organization: Formerly known as the Inter-Governmental Maritime Consultative Organization (IMCO), was established in 1958 through the United Nations to coordinate international maritime safety and related practices. IMPORT LICENSE: A certificate issued by countries exercising import controls that permits importation of the articles stated in the license. The issuance of such a permit frequently is collected with the release of foreign exchange needed to pay for the shipment for which the import license has been requested. IN-BOND: A customs program for inland ports that provides for cargo arriving at a seaport to be shipped under a customs bond to a more conveniently located inland port where the entry documents have been filed. Customs clears the shipment there and the cargo is trucked to its destination, which normally is close to the inland port. INDEPENDENT ACTION: A move whereby a member of a shipping conference elects to depart from the specific freight rates, terms, or conditions set forth by the conference. No prior approval of the conference is needed. INDUCEMENT: When steamship lines publish in their schedules the name of a port and the words “by inducement” in parentheses, this means the vessel will call at the port if there is a sufficient amount of profitable cargo available and booked. INERT GAS SYSTEM: A system of preventing any explosion in the cargo tanks of a tanker by replacing the cargo, as it is pumped out, by an inert gas, often the exhaust of the ship’s engine. Gas-freeing must be carried out subsequently if worker have to enter the empty tanks. INFLAMMABLE LIQUIDS: Liquids liable to spontaneous combustion which give off inflammable vapors at or below 80 degrees F. For example, ether, ethyl, benzine, gasoline, paints, enamels, carbon disulfide, etc. INLAND WATERS: Term referring to lakes, streams, rivers, canals, waterways, inlets, bays, and the like. INMARSAT: International Maritime Satellite System. INTEGRATED TUG BARGE: A large barge of about 600 feet and 22,000 tons cargo capacity, integrated from the rear on to the bow of a tug purposely constructed to push the barge. INTELLECTUAL PROPERTY: Ownership of the legal rights to possess, use, or dispose of products created by human ingenuity, including patents, trademarks and copyrights. INTERCOASTAL: Domestic shipping routes serving more than one coast. INTERLINE: A mutual agreement between airlines to link their route network. INTERMODALISM: The concept of transportation as a door-to-door service rather than port-to-port. Thus efficiency is enhanced by having a single carrier coordinating the movement and documentation among different modes of transportation. INTERNATIONAL LOAD LINE CERTIFICATE: A certificate which gives details of a ship’s freeboards and states that the ship has been surveyed and the appropriate load lines marked on her sides. This certificate is issued by a classification society or the Coast Guard. INTERNATIONAL OIL POLLUTION COMPENSATION FUND: An inter-governmental agency designed to pay compensation for oil pollution damage, exceeding the shipowner’s liability. It was created by an IMO Convention in 1971 and started its operations in October 1978. Contributions come mainly from the oil companies of member states. INTERNATIONAL TONNAGE CERTIFICATE: A certificate issued to a shipowner by a government department in the case of a ship whose gross and net tonnages have been determined in accordance with the International Convention of Tonnage Measurement of Ships. The certificate states the gross and net tonnages together with details of the spaces attributed to each. INTERNATIONAL WATERWAYS: Consist of international straits, inland and interocean canals and rivers where they separate the territories of two or more nations. Provided no treaty is enforced both merchant ships and warships have the right of free and unrestricted navigation through these waterways. INTRACOASTAL: Domestic shipping routes along a single coast. ISO 9000: A series of voluntary international quality standards. J&WO: Jettison and Washing Overboard. JACKUP: A deck with legs that can be jacked up or down. During operations, the legs rest on the sea-bed. When the rig is moved, the legs are retracted, leaving the rig floating. A backup has normally no propulsion machinery of its own. JETSAM: Goods from a ship’s cargo or parts of its equipment that have been thrown overboard to lighten the load in time of danger or to set a stranded ship adrift. JOINT VENTURE: A term of business partnership involving joint management and the sharing of risks and profits between enterprises sometimes based in different countries. JONES ACT: Merchant Marine Act of 1920, Section 27, requiring that all U.S. domestic waterborne trade be carried by U.S.-flag, U.S.-built, and U.S.-manned vessels. JUST IN TIME (JIT): The principle of production and inventory control in which goods arrive when needed for production or use. KANBAN: The Japanese word referring to the manufacturing control system in which suppliers deliver needed parts just in time to the assembly line for use. KD FLAT: An article taken apart, folded, or telescoped to reduce its bulk at least 66-2/3% below its assembled size. KDCL: Knocked Down in Carload Lots. KDLCL: Knocked Down in Less than Carload Lots. KEEL: The lowest longitudinal timber of a vessel, on which framework of the whole is built up; combination of iron plates serving same purpose in iron vessel. KNOCKED DOWN (KD): An article taken apart, folded, or telescoped in such a manner as to reduce its bulk at least 33-l/3% below its assembled bulk. KNOT, NAUTICAL: The unit of speed equivalent to one nautical mile: 6,080.20 feet per hour or 1.85 kilometers per hour. L/T: Long tons (2,240 lbs.). LAGAN: Cargo or equipment to which an identifying marker or buoy is fastened and thrown overboard in time of danger to lighten a ship’s load. Under maritime law, if the goods are later found they must be returned to the owner whose marker is attached. The owner must make a salvage payment. LAID-UP TONNAGE: Ships not in active service; a ship which is out of commission for fitting out, awaiting better markets, needing work for classification, etc. LAKER: Type of ship which trades only in the Great Lakes of North America. They usually carry grain and ore cargoes. LASH (Lighter Aboard Ship): A specialized container ship carrying very large floating containers, or “lighters.” The ship carries its own massive crane, which loads and discharges the containers over the stern. The lighters each have a capacity of 400 tons and are stowed in the holds and on deck. While, the ship is at sea with one set of lighters, further sets can be made ready. Loading and discharge are rapid at about 15 minutes per lighter, no port or dock facilities are needed, and the lighters can be grouped for pushing by towboats along inland waterways. LASH VESSELS: Barges specifically designed to load on a vessel internally and for quick vessel turnaround. The concept is to quickly float the barges to the vessel (using tugs or ships wenches), load the barges through the rear of the vessel, then sail. Upon arrival at the foreign port, the reverse happens. Barges are quickly floated away from the vessel and another set of waiting barges quickly are loaded. Usually crane-equipped, these barges handle mostly breakbulk cargo. LAY DAYS: The dates between which a chartered vessel is to be available in a port for loading of cargo. LAYTIME: Time allowed by the shipowner to the voyage charterer or bill of lading holder in which to load and/or discharge the cargo. It is expressed as a number of days or hours or as a number of tons per day. LAY-UP: Temporary cessation of trading of a ship by a shipowner during a period when there is a surplus of ships in relation to the level of available cargoes. This surplus, known as overtonnaging, has the effect of depressing freight rates to the extent that some shipowners no long find it economical to trade their ship, preferring to lay them up until there is a reversal in the trend. LESS THAN TRUCKLOAD (LTL): Rates applicable when the quantity of freight is less than the volume or truckload minimum weight. LETTER OF CREDIT (L/C): A document issued by a bank per instructions by a buyer of goods authorizing the seller to draw a specified sum of money under specified terms. Issued as revocable or irrevocable. LETTER OF CREDIT, CONFIRMED: A letter of credit containing a guarantee on the part of both the issuing and advising banks of payment to the seller, provided the seller’s documentation is in order and the terms of the letter of credit are met. LIFEBOAT: A specially constructed double ended boat which can withstand heavy, rough seas. LIFEBOAT DRILL: The master of every vessel is bound by international law to make the officers, crew and passengers adequately acquainted with the procedures of lowering and the use of lifeboats in case of emergency. LIGHT DISPLACEMENT TONNAGE: The weight of a ship’s hull, machinery, equipment, and spares. This is often the basis on which ships are paid for when purchased for scrapping. The difference between the loaded displacement and light displacement is the ship’s deadweight. LIGHTER: (1) General name for a broad, flat-bottomed boat used in transporting cargo between a vessel and the shore. The distinction between a lighter and a barge is more in the manner of use than in equipment. The term “lighter” refers to a short haul, generally in connection with loading and unloading operations of vessels in harbor while the term “barge” is more often used when the cargo is being carried to its destination over a long distance. (2) An open or covered barge equipped with a crane and towed by a tugboat. Used mostly in harbors and inland waterways. LIGHTER ABOARD SHIP: An ocean ship which carries barges. These barges are loaded with cargo, often at a variety of locations, towed to the ocean ship, sometimes referred to as the mother ship, and lifted or, in some cases, floated on board. After the ocean crossing, the barges are off-loaded and towed to their various destinations. The ocean ship then receives a further set of barges which have been assembled in readiness. This concept was designed to eliminate the need for specialized port equipment and to avoid transshipment with its consequent extra cost. LIGHTERAGE: (1) Charge for conveying cargo by lighters or barges. (2) The cost of loading or unloading a vessel by means of barges alongside. LIGHTERING: Conveying cargo with another vessel known as a lighter from ship to shore, or vice versa. LINEHAUL: The management of freight between cities, usually more than 1000 miles. LINER: The word “liner” is derived from the term “line traffic,” which denotes operation along definite routes on the basis of definite, fixed schedules. A liner thus is a vessel that engages in this kind of transportation, which usually involves the haulage of general cargo as distinct from bulk cargo. LINER SERVICE: Vessels operating on fixed itineraries or regular schedules and established rates available to all shippers. The freight rates which are charged are based on the shipping company’s tariff or if the company is a member of a liner conference, the tariff of that conference. LIQUIDATION: The finalization of a customs entry. LKG. & BKG. : Leakage and Breakage. LLOYD’S REGISTER OF SHIPPING: British classification society. LNG: Liquefied Natural Gas, or a carrier of LNG. LNG CARRIER: Liquefied natural gas carrier, perhaps the most sophisticated of all commercial ships. The cargo tanks are made of a special aluminum alloy and are heavily insulated to carry natural gas in its liquid state at a temperature of -2850F. The LNG ship costs about twice as much as an oil tanker of the same size. LO/LO (LIFT-ON/LIFT-OFF): Denotes the method by which cargo is loaded onto and discharged from an ocean vessel, which in this case is by the use of a crane. LOAD LINE: The line on a vessel indicating the maximum depth to which that vessel can sink when loaded with cargo. Also known as marks. LOADED LEG: Subdivision of a ship’s voyage during which the ship is carrying cargo. LOGISTICS MANAGEMENT: The efficient and cost-effective management of the physical movement of goods from supply points to final sale and the associated transfer and holding of such goods at various intermediate storage points. LONGSHOREMAN: Ocean carrier cargo handler that loads and unloads freight at the harbor. LOOKOUT: A member of the crew stationed on the forecastle, or on the bridge, whose duty it is to watch for any dangerous objects or for any other vessels heaving into sight. LPG: Liquefied Petroleum Gas, or a carrier of LPG. M/T (Metric Ton): 2204.6 lbs. M/V OR MV: Motor Vessel. MAIN DECK: The main continuous deck of a ship running from fore to aft; the principle deck; the deck from which the freeboard is determined. MANIFEST: A document containing a full list of the ship’s cargo, extracted from the bills of lading. MANNING SCALES: The minimum number of officers and crew members that can be engaged on a ship to be considered as sufficient hands with practical ability to meet every possible eventuality at sea. MAQUILADORA: A foreign plant operating under an in-bond program whereby components may be shipped into Mexico duty-free for assembly and subsequent re-export. Maquiladora plants are also known as Twin Plants. MARITIME ADMINISTRATION (MARAD): A U.S. government agency, while not actively involved in vessel operation, that administers laws for maintenance of merchant marine for the purposes of defense and commerce. MARITIME LIEN: A claim which attaches to the res, i.e., the ship, freight, or cargo. MARITIME SUBSIDY BOARD (MSB): A branch within the Maritime Administration which deals with Operating Differential Subsidy and Construction Differential Subsidy. MARKINGS: The physical markings on a product indicating the country of origin where the article was produced. MARPOL 73/78: The International Convention for the Prevention of Pollution from Ships, 1973, as modified by the Protocol of 1978. MASTER (CAPTAIN): Highest officer aboard ship. Oversees all ship operations. Keeps ships records. Handles accounting and bookkeeping. Takes command of vessel in inclement weather and in crowded or narrow waters. Handles communications. Receives and implements instructions from home office. MATE’S RECEIPT: Receipt of cargo by the vessel, signed by the mate (similar to a dock receipt). MEASUREMENT TON: The measurement ton (also known as the cargo ton or freight ton) is a space measurement, usually 40 cubic feet or one cubic meter. Cargo is assessed a certain rate for every 40 cubic feet or one cubic meter it occupies. MERCOSUR: A trade alliance between Argentina, Brazil, Paraguay and Uruguay, with Chile and Bolivia as associate members. MICROBRIDGE: A system of through rates and service offered by a carrier for cargo shipments from any inland U.S. location to a port, by sea to a foreign port and finally overland to a foreign inland destination. MIN. B/L: Minimum Bill of Lading. MINILAND BRIDGE: The process of taking inland cargo bound for export to the coast by rail and loading it directly to the ship. MIRAID: Maritime Institute for Research and Industrial Development. MIXED SHIPMENT: A shipment consisting of more than one commodity, articles described under more than one class or commodity rate item in a tariff. MODU: Mobile Offshore Drilling Unit. MOORING LINE: A cable or line to tie up a ship. MULTIPURPOSE SHIP: Any ship capable of carrying different types of cargo which require different methods of handling. There are several types of ships falling into this category, for example, ships which can carry roll on/roll off cargo together with containers. NAFTA (NORTH AMERICAN FREE TRADE AGREEMENT): A free trade agreement comprising the U.S.A., Canada, and Mexico. NATIONAL CARGO BUREAU: A private organization having representatives throughout the main harbors in the U.S. It is empowered to inspect cargoes of a hazardous nature and issue certificates which are automatically approved by the Coast Guard. NATIONAL CARRIER: A flag carrier owned or controlled by the state. NATIONAL FLAG: The flag carried by a ship to show her nationality. NEOBULK: Shipments consisting entirely of units of a single commodity, such as cars, lumber, or scrap metal. NESTED: When three or more different sizes of an article are placed within each other so that each article will not project above the next lower article by more than 33-1/3% of its height. NESTED SOLID: When three or more different sizes of an article are placed within each other so that each article will not project above the next lower article by more than 1/4 inch. NET CAPACITY: The number of tons of cargo which a vessel can carry when loaded in salt water to her summer freeboard marks. Also called cargo carrying capacity, cargo deadweight, and useful deadweight. NET TERMS: Free of charters’ commission. NET TONNAGE: Equals gross tonnage minus deductions for space occupied by crew accommodations, machinery, navigation equipment, and bunkers. It represents space available for cargo (and passengers). Canal tolls are based on net (registered) tonnage. NET WEIGHT (ACTUAL NET WEIGHT): The weight of the goods alone without any immediate wrappings; e.g., the weight of the contents of a tin can without the weight of the can. NMFC: National Motor Freight Classification. NO OBJECTION CERTIFICATE: A document provided by scheduled or national airlines of many countries declaring no objection to a proposed charter flight operated by another airline. It is often demanded by government authorities before they grant permission for a charter flight to take place. NO OBJECTION FEE: A sum of money normally paid by a charter airline to a scheduled airline in order that it waives its right of objection to its government, thus allowing a charter to take place. The amount is usually a fixed percentage of the gross cost of a charter. Tantamount to a bribe, this is common practice in the Middle East and Africa. NOHP: Not Otherwise Herein Provided. NOIBN: Not Otherwise Indicated By Number; Not Otherwise Indicated By Name. NON-CONFERENCE LINE: A shipping line which operates on a route served by a liner conference but which is not a member of that conference. NONCONTIGUOUS: Domestic shipping routes serving Alaska and non-continental U.S. States and territories. NON-VESSEL OPERATING COMMON CARRIER (NVOCC): An FMC-Licensed cargo consolidator of small shipments in ocean trade, generally soliciting business and arranging for or performing containerization functions at the port. NORSKE VERITAS: Norwegian classification society. NRT (Net Registered Tons): This tonnage is frequently shown on ship registration papers; it represents the volumetric area available for cargo at 100 cubic feet = 1 ton. It often is used by port and canal authorities as a basis for charges. NVO: Non-vessel-operating common carrier, a ships agent, conducts business for the ship but does not operate the vessel. O.R. DET. : Owner’s Risk of Deterioration. O.R.B. : Owner’s risk of breakage. O/N: Order Notify; Own Name. OBO SHIP: A multipurpose ship that can carry ore, heavy dry bulk goods and oil. Although more expensive to build, they ultimately are more economical because they can make return journeys with cargo rather than empty as single-purpose ships often must. OCEAN WAYBILL: A document, issued by a shipping line to a shipper which serves as a receipt for the goods and evidence of the contract carriage. ODS (OPERATING DIFFERENTIAL SUBSIDY): (1) A payment to an American-flag carrier by the U.S. federal government to offset the difference in operating costs between U.S. and foreign vessels. (2) A direct subsidy paid to U.S.-flag operators to offset the high operating cost of U.S.-flag ships when compared to foreign-flag counterparts. OFF-HIRE CLAUSE: In a time charter, the owner is entitled to a limited time for his vessel to be off hire until such time as the vessel may be repaired or dry-docked. OFFICER: Any of the licensed members of the ship’s complement. OFF-LINE: An airline that sells in a market to which it does not operate. An off-line carrier will use another operator to link with its network. OFF-LOAD: Discharge of cargo from a ship. OFFSHORE SERVICE VESSELS: Special vessels employed in exploration for, development of or continuous production of, subsea oil and gas. OIL RECORD BOOK: A book or log kept by the master of an oil tanker wherein every discharge or escape of oil is recorded. OIL TANKER: A ship designed for the carriage of oil in bulk, her cargo space consisting of several or many tanks. Tankers load their cargo by gravity from the shore or by shore pumps and discharge using their own pumps. OILER: An unlicensed member of the engine room staff who oils and greases bearings and moving parts of the main engine and auxiliaries. Most of this work is now done automatically and the oiler merely insures it operates correctly. OPEN ACCOUNT: A trade arrangement in which goods are shipped to a foreign buyer without guarantee of payment such as a note, mortgage, or other formal written evidence of indebtedness. OPEN POLICY: A cargo insurance policy that is an open contract; e.g., it provides protection for all of an exporter’s shipments afloat or in transit within a specified geographical trade area for an unlimited period of time, until the policy is cancelled by the insured or by the insurance company. It is “open” because the goods that are shipped are also detailed at that time. This usually is shown in a document called a marine insurance certificate. OPEN RATES: Pricing systems that are flexible and not subject to conference approval. Usually applied to products in which tramps are substituted for liners. OPEN REGISTRY: A term used in place of “flag of convenience” or “flag of necessity” to denote registry in a country which offers favorable tax, regulatory, and other incentives to ship owners from other nations. ORDINARY SEAMAN: (1) A deck crew member who is subordinate to the Able Bodied Seamen. (2) An apprentice AB, assists AB’s bosun, and officers, keeps facilities clean. ORE CARRIER: A large ship designed to be used for the carnage of ore. Because of the high density of ore, ore carriers have a relatively high center of gravity to prevent them being still when at sea, that is, rolling heavily with possible stress to the hull. ORE-BULK-OIL CARRIER: A large multi-purpose ship designed to carry cargoes wither of ore or other bulk commodities or oil so as to reduce the time the ship would be in ballast if restricted to one type of commodity. This type of ship is sometimes called bulk-oil carrier. ORF: Owner’ Risk of Fire or Freezing. ORL: Owner’s Risk of Leakage. ORW: Owner’s Risk of Becoming Wet. OS&D: Over, Short and Damaged. OUARTERMASTER/HELMSMAN: An able-bodied seamen entrusted with the steering of a vessel. OVERTONNAGING: A situation where there are too many ships generally or in a particular trade for the level of available cargoes. P.L. 480: Agricultural Trade Development and Assistance Act of 1954. P.L. 664: Mandates that 50 percent of government impelled cargoes be carried under U.S. flag. Known as the 50/50 shipping law. PAIRED (PORT OF ARRIVAL IMMEDIATE RELEASE AND ENFORCEMENT DETERMINATION): A U.S. Customs program that allows entry documentation for an import shipment to be filed at one location, usually an inland city, while the merchandise is cleared by customs at the port of entry, normally a seaport. May be ineffective with certain types of high-risk cargoes, such as quota-regulated textiles or shipments from drug production regions. 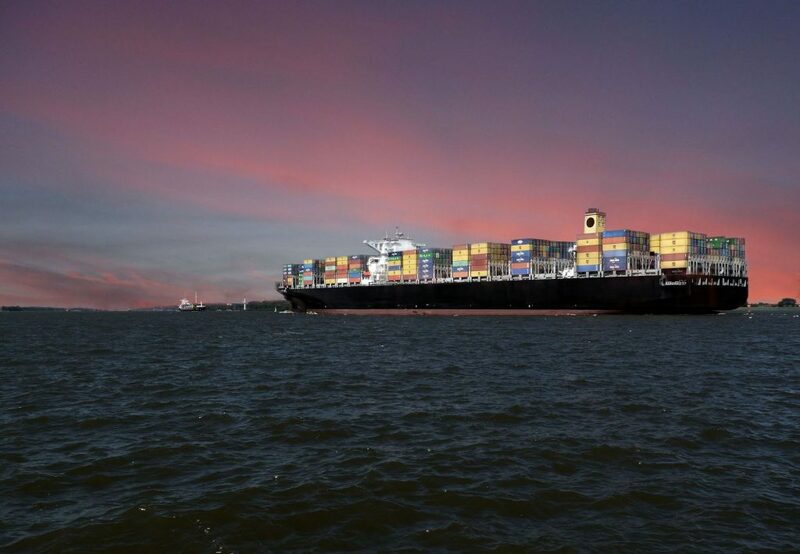 Cities where there is a natural flow of cargo are actually “paired” in the program; e.g., Atlanta, an inland city, is linked with Savannah, a seaport. PART CHARTER: Where part of an airline’s scheduled flight is sold as if it were a charter in its own right. Often incorrectly used as a synonym for split charter. PARTICULAR AVERAGE (PA): Partial loss or damage to goods. PASSENGER SHIP: A passenger ship that its authorized to carry over twelve passengers. PER CONTAINER RATE: Rates and/or changes on shipments transported in containers or trailers and rated on the basis of the category of the container or trailer. PERILS OF THE SEA: Fortuitous accidents or casualties peculiar to transportation on navigable water, such as sinking, collision of vessel, striking a submerged object, or encountering heavy weather or other unusual forces of nature. PERISHABLES: Any cargo that loses considerable value if it is delayed in transportation. This usually refers to fresh fruit and vegetables. PERSONAL FLOATATION DEVICE: Approved floats meant as life preservers and carried on board American ships. PHYTOSANITARY INSPECTION CERTIFICATE: A certificate issued to attest that a shipment has been inspected and is free of harmful pests and plant diseases, and is undertaken by an NPPO (National Plant Protection Organization). A phytosanitary certificate for export or for re-export can be issued only by a public officer who is technically qualified and duly authorized by an NPPO (ISPM 12). A phytosanitary certificate for export is usually issued by the NPPO of the country where the plants, plant products or regulated articles were grown or processed (1). Phytosanitary certificates are issued to indicate that consignments of plants, plant products or other regulated articles meet specified phytosanitary import requirements and are in conformity with the certifying statement of the appropriate model certificate. Phytosanitary certificates should only be issued for this purpose. PILFERAGE: As used in marine insurance policies, the term denotes petty thievery-the taking of small parts of a shipment-as opposed to the theft of a whole shipment or large unit. Many ordinary marine insurance policies do not cover against pilferage, and when this coverage is desired it must be added to the policy. PILOT: A person who is qualified to assist the master of a ship to navigate when entering or leaving a port. PILOT HOUSE: The enclosed space on the navigating bridge from which a ship is controlled when under way. PILOTAGE: The act carried out by a pilot of assisting the master of a ship in navigation when entering or leaving a port. Sometimes used to define the fee payable for the services of a pilot. PILOTAGE DUES: A fee payable by the owner or operator of a ship for the services of a pilot. This fee is normally based on the ship’s tonnage. PIVOT WEIGHTS: That weight of a ULD above which a higher tariff applies. In effect, it is an incentive to maximize cargo density. PLACE: A particular street address or other designation of a factory, store, warehouse, place of business, private residence, construction camp, or the like at a point. PLACE OF REST: This term, as used in the Containerized Cargo Rules, means the location of the floor, dock, platform, or doorway at the CFS to which cargo is first delivered by the shipper or agent thereof. POINT: A particular city, town, village, or other community or area which is treated as a unit for the application of rates. POOLING: The sharing of cargo or the profit or loss from freight by member lines of a liner conference. Pooling arrangements do not exist in all conferences. PORT AUTHORITY: A government body (city, county, or state) which in international shipping maintains various airports and/or ocean cargo pier facilities, transit sheds, loading equipment, or warehouses for air cargo. It has the power to levy dockage and wharfage charges, landing fees, and other costs. PORT MARKS: An identifying set of letters, numbers, or geometric symbols followed by the name of the port of destination that are placed on export shipments. Foreign government requirements may be exceedingly strict in the matter of port marks. PORT OF DISCHARGE: A port where a vessel is off-loaded and cargo discharged. PORT OF LOADING: A port where cargo is loaded aboard the vessel, lashed, and stowed. PR-17: Public Resolution which requires that U.S. Government financed cargoes (Eximbank) must be shipped 100% in U.S. flag ships, but that the requirement may be waived up to 50% in some cases. PREPAID FREIGHT: Generally speaking, freight charges both in ocean and air transport may be either prepaid in the currency of the country of export or they may be billed collect for payment by the consignee in his local currency. On shipments to some countries, however, freight charges must be prepaid because of foreign exchange regulations of the country of import or rules of steamship companies or airlines. PRE-SLUNG CARGO: Cargo shipped already in a cargo sling or net, such as coffee in bags or coconut shells. It is usually prepared and loaded at the pier, ready for the vessel’s arrival and subsequent loading. PRIMA FACIE: A Latin term frequently encountered in foreign trade that means “on first appearance.” When a steamship company issues a clean bill of lading, it acknowledges that the goods were received “in apparent good order and condition” and this is said by the courts to constitute prima facie evidence of the conditions of the containers; that is, if nothing to the contrary appears, it must be inferred that the cargo was in good condition when received by the carrier. PRODUCT CARRIER: A tanker which is generally below 70,000 deadweight tons and used to carry refined oil products from the refinery to the consumer. In many cases, four different grades of oil can be handled simultaneously. PRODUCTION UNIT: Equipped to extract petroleum, e.g. oil production ship. PROFORMA: When used with the title of a document, the term refers to an informal document presented in advance of the arrival or preparation of the required document, in order to satisfy a customs requirement. PROOF OF DELIVERY (POD): The delivery receipt copy of a freight bill indicating the name of the person who signed for a package with the date and time of delivery. PROPANE CARRIER: A ship designed to carry propane in liquid form. The propane is carried in tanks within the holds; it remains in liquid form by means of pressure and refrigeration. Such ships are also suitable for the carriage of butane. PROTEST: U.S. Customs Form 19 allows for a refund of an overpayment of duty if filed within 90 days of liquidation. QUALIFIED MEMBER OF THE ENGINE DEPARTMENT (OMED): Unlicensed members of the engine department who attend to a fully automated engine room. RADIO DEPARTMENT – RADIO OPERATOR: Maintains and monitors radio, sends, and receives messages. Often maintains electronic navigation equipment. REBATE: A deduction taken from a set payment or charge. Because a rebate is given after payment of the full amount has been made, it differs from a discount which is deducted in advance of the payment. In foreign trade, a full or partial rebate may be given on import duties paid on goods which are later re exported. RECIPROCITY: A practice by which governments extend similar concessions to one another. REEFER: Refrigerator ship; a vessel designed to carry goods requiring refrigeration, such as meat and fruit. A reefer ship has insulated holds into which cold air is passed at the temperature appropriate to the goods being carried. REEFER BOX: An insulated shipping container designed to carry cargoes requiring temperature control. It is fitted with a refrigeration unit which is connected to the carrying ship’s electrical power supply. RETALIATION: An action taken by a country to restrain imports from another country that has increased a tariff or imposed other measures that adversely affect the first country’s exports. RETURN CARGO: A cargo which enables a ship to return loaded to the port or area where her previous cargo was loaded. RO/RO (ROLL-ON/ROLL-OFF) VESSEL: (1) A ship designed to accommodate cargo that is rolled on and rolled off. Some Ro/Ro vessels can accommodate containers and/or breakbulk cargo. A Ro/Ro Vessel can be self-sustaining. (2) Freight ship or ferry with facilities for vehicles to drive on and off (roll-on roll-off); a system of loading and discharging a ship whereby the cargo is driven on and off on ramps. Equipped with large openings at bow and stern and sometimes also in the side, the ship permits rapid loading and discharge with hydraulically operated ramps providing easy access. Fully loaded trucks or trailers carrying containers are accommodated on the deck. ROLLING CARGO: Cargo which is on wheels, such as truck or trailers, and which can be driven or towed on to a ship. ROYALTY: A charge on charter flights levied by some governments before traffic rights are granted. Sometimes called a “no objection fee.” It is usually a fixed proportion of a total charter value. SALVAGE: (1) The rescue of goods from loss at sea or by fire. Also, goods so saved, or payment made or due for their rescue. (2) The property which has been recovered from a wrecked vessel, or the recovery of the vessel herself. SCHEDULE B: Refers to “Schedule B, Statistical Classification of Domestic and Foreign Commodities exported from the U.S.A.” This is being replaced under the Harmonized System. SCHEDULED FLIGHT: Any service that operates under a set timetable. SCR (SPECIFIED COMMODITY RATE): A rate applied to narrowly specified commodities and usually granted on relatively large shipments. Theoretically, it is of limited time duration. SEA TRIALS: A series of trials conducted by the builders during which the owner’s representatives on board act in a consulting and checking capacity to determine if the vessel has met the specifications. SEABEE: Sea-barge, a barge carrier design similar to “LASH” but which uses rollers to move the barges aboard the ship; the self-propelled loaded barges are themselves loaded on board as cargo and are considerably larger than those loaded on LASH ships. SEAWORTHINESS: (1) Statement on the condition of the vessel. It has valid certificates, is fully equipped and manned (2) The sufficiency of a vessel in materials construction, equipment, crew and outfit for the trade in which it is employed. Any sort of disrepair to the vessel by which the cargo may suffer – overloading, untrained officers, etc., may constitute a vessel unseaworthy. SEAWORTHINESS CERTIFICATE: A certificate issued by a classification society surveyor to allow a vessel to proceed after she has met with a mishap that may have affected its seaworthiness. It is frequently issued to enable a vessel to proceed, after temporary repairs have been effected, to another port where permanent repairs are then carried out. SECTOR: The distance between two ground points within a route. SELF-SUSTAINING: A vessel that has its own cranes and equipment mounted on board for loading and unloading. Used in ports where shore cranes and equipment are lacking. SELF-SUSTAINING SHIP: A containership which has her own crane for loading and discharging shipping containers enabling the ship to serve ports which do not have suitable lifting equipment. SELF-UNLOADER: A bulk carrier which is equipped with gear for unloading cargo. SEMISUBMERSIBLE: Deck supported by pillars, fastened to pontoons. The pontoons are half submerged during operations. Kept in position by anchors (or by dynamic positioning). Normally equipped with its own propulsion machinery. SERVICE: The defined, regular pattern of calls made by a carrier in the pick-up and discharge of cargo. SERVICE CONTRACT: A contract between a shipper and an ocean carrier of conference, in which the shipper makes a commitment to provide a minimum quantity of cargo over a fixed time period. SHIFTING: This refers to movements or changing positions of cargo from one place to another. This can easily endanger the seaworthiness or cargoworthiness of the ship. SHIPMENT: Freight tendered to a carrier by one consignor at one place at one time for delivery to one consignee at one place on one bill of lading. SHIPPER: Term used to describe an exporter (usually a manufacturing company). SHIPPERS: Individuals or businesses who purchase transportation services or commodities. SHIPPER’S COUNCIL: An organization of shippers formed to collectively and services with the conferences of ship operators. SHIPPER’S EXPORT DECLARATION (SED): A form required by the U.S. Treasury Department and completed by a shipper showing the value, weight, consignee, and destination of export shipments as well as the Schedule B identification number. SHIPPING ACT: Created in 1916 and revised in 1984, the Shipping Act is a comprehensive legislative act defining the U.S. ocean freight industry. This legislation defines the rules and regulations governing the business practices of steamship companies, non-vessel operating carriers, and freight forwarders. SHIP’S AGENT: A person or firm who transacts all business in a port on behalf of shipowners or charterers. Also called shipping agent; agent. SHIP’S MANIFEST: An instrument in writing containing a list of the shipments constituting the ship’s cargo. SHORT-SHIPPED: Cargo manifested but not loaded. SLOP TANK: A tank in a tanker into which slops are pumped. These represent a residue of the ship’s cargo of oil together with the water used to clean the cargo tanks. They are left to separate out in the slop tank. SOFT CURRENCY: Currency which is not fully convertible to all currencies but only to some other soft currencies. SPOT (VOYAGE): A charter for a particular vessel to move a single cargo between specified loading port(s) and discharge port(s) in the immediate future. Contract rate (“spot” rate) covers total operating expenses, i.e., bunkers, port charges, canal tolls, crew’s wages and food, insurance and repairs. Cargo owner absorbs, in addition, any expenses specifically levied against the cargo. STANDARD INTERNATIONAL TRADE CLASSIFICATION (SITC): A standard numerical code system developed by the United Nations to classify commodities used in international trade. STAND-BY VESSEL: Stationed near an offshore in-stallation, responsible for evacuating its crew in emergencies. Also performs continuous guard function, warning other vessels to keep their distance from installations, etc. STARBOARD: The right-hand side of a ship when facing the front or forward end. The starboard side of a ship during darkness is indicated by a green light. STEAMSHIP AGENT: A duly appointed and authorized representative in a specified territory acting on behalf of a steamship line or lines and attending to all matters relating to the vessels owned by his principals. STEAMSHIP LINE: A company usually having the following departments: vessel operations, container operations, tariff department, booking, outbound rates, inward rates, and sales. The company can maintain its own in-country offices to handle regional sales, operations, or other matters, or appoint steamship agents to represent them doing the same. Some lines have liner offices in several regions and appointed agents in others. STEM (Noun): The upright post or bar of the bow of a vessel. STERNWAY: The reverse movement of a vessel. STEWARD ASSISTANT: Clean galley and mess halls, set tables, prepare salads, and clean living quarters. STORE: A general term for provisions, materials and supplies used aboard ship for the maintenance of the crew, and for the navigation, propulsion, and upkeep of the vessel and its equipment. STOWAGE: (a) The loading of cargo in a vessel in such a manner as to provide the utmost safety and efficiency for the ship and the goods it carries. (b) The placing of goods in a ship in such a way as to ensure the safety and stability of the ship not only on a sea or ocean passage but also in between ports when parts of the cargo have been loaded or discharged. SUBSIDY: An economic benefit granted by a government to producers of goods or services, often to strengthen their competitive position. Sue & Labor Cause. A provision in marine insurance obligating the assured to do things necessary after a loss to prevent further loss and to act in the best interests of the insurer. SURETY BOND: A bond insuring against loss or damage or for the completion of obligations. TAIL SHAFT: The extreme section at the aft end of a ship’s propeller shaft. TALLY SHEET: A list of incoming and outgoing cargo checked by the tally clerk on the dock. TANK-BARGE: A river barge designed for the carriage of liquid bulk cargoes. TANKER: A tanker is a bulk carrier designed to transport liquid cargo, most often petroleum products. Oil tankers vary in size from small coastal vessels of 1,500 tons deadweight, through medium-sized ship of 60,000 tons, to the giant VLCCs (very large crude carriers). TARE WEIGHT: The weight of packing and containers without the goods to be shipped. TARIFF: (1) A general term for any listing of rates or charges. The tariffs most frequently encountered in foreign trade are: tariffs of international transportation companies operating on sea, land, and in the air; tariffs of international cable, radio, and telephone companies; and the customs tariffs of the various countries that list goods that are duty free and those subject to import duty, giving the rate of duty in each case. There are various classes of customs duties. TARIFF ACT OF 1930 (P.L. 361): Imposes a 50-percent tariff on maintenance and repair work done on U.S.-flag vessels in foreign shipyards. Also, U.S.-flag vessels either must be built in the United States or have been a U.S.-flag vessel for at least 3 years to be eligible to carry preference cargo. TEMPERATURE CONTROLLED CARGO: Any cargo requiring carriage under controlled temperature. TERRITORIAL WATERS: That portion of the sea up to a limited instance which is immediately adjacent to the shores of any country and over which the sovereignty and exclusive jurisdiction of that country extend. T.E.U. (Twenty Foot Equivalent Unit): A measurement of cargo-carrying capacity on a containership, referring to a common container size of 20 ft in length. T.E.U. : A twenty-foot equivalent unit (6.1m). A standard unit for counting containers of various lengths and for describing container ship or terminal capacity. A standard 40′ container equals 2 TEUs. THC (TERMINAL HANDLING CHARGE): A charge made for certain handling services performed at terminals. THIRD ASSISTANT ENGINEER: In charge of eight to twelve watch. Maintains lighting fixtures. Repairs malfunctioning accessories in living quarters. Assist other engineers as directed. THIRD MATE: In charge of eight to twelve watch. Makes sure emergency survival equipment (lifeboats, life rings, etc.) is in order. Assists other officers as directed. TIB (TEMPORARY IMPORTATION UNDER BOND): A U.S. Customs’ temporary admission into the U.S.A. under a conditional bond for articles not imported for sale or for sale on approval. TITLE, PASSING: The passing of title to exported goods is determined in large measure by the selling terms and must be clearly specified and understood by both parties. TON: 2,240 pounds – Freight rates for liner cargo generally are quoted based on a certain rate per ton, depending on the nature of the commodity. This ton, however, may be a weight ton or a measurement ton. TON MILE: A measurement used in the economics of transportation to designate one ton being moved one mile. This is useful to the shipper because it includes the distance to move a commodity in the calculation. TON-DEADWEIGHT: The carrying capacity of the ship in terms of the weight in tons of the cargo, fuel, provisions, and passengers which a vessel can carry. TON-DISPLACEMENT: The weight of the volume of water, which the fully loaded ship, displaces. TONNAGE: A quantity of cargo normally expressed as a number of tons. TOP-OFF: To fill a ship which is already partly loaded with cargo. TOW: When one or more vessels are being towed; when a tug is towing one or more floating objects; to pull an object in the water by means of a rope. TOWAGE: Charges for the services of tugs assisting a ship or other vessels in ports or other locations; the act of towing a ship or other objects from one place to another. TRADE: A term used to define a geographic area or specific route served by carriers. TRAMP: A vessel that does not operate along a definite route on a fixed schedule, but calls at any port where cargo is available. TRAMP SERVICE: Vessels operating without a fixed itinerary or schedule or charter contract. TRANSPORT INDEX: The number expressing the maximum radiation level in a package or ULD. TRANSSHIPMENT: The transfer of a shipment from one carrier to another in international trade, most frequently from one ship to another. Because the unloading and reloading of delicate merchandise is likely to cause damage, transshipments are avoided whenever possible. TRIM: The relationship between a ship’s draughts forward and aft. TRUCKLOAD: Truckload rates apply where the tariff shows a truckload minimum weight. Charges will be at the truckload minimum weight unless weight is higher. TRUST RECEIPT: The release of merchandise by a bank to a buyer for manufacturing or sales purposes in which the bank retains title to the merchandise. TUG: A small vessel designed to tow or push large ships or barges. Tugs have powerful diesel engines and are essential to docks and ports to maneuver large ships into their berths. Pusher tugs are also used to push enormous trains of barges on the rivers and inland waterways of the U.S. Oceangoing salvage tugs provide assistance to ships in distress and engage in such work as towing drilling rigs and oil production platforms. U.S. EFFECTIVE CONTROLLED FLEET: That fleet of merchant ships owned by United States citizens or corporations and registered under flags of “convenience” or “necessity” such as Liberia or Panama. The term is used to emphasize that, while the fleet is not U.S.-flag, it is effectively under U.S. control by virtue of the ship’s owners and can be called to serve U.S. interests in time of emergency. U.S.- FLAG VESSELS: Are registered in the United States and are subject to additional U.S. laws and regulations to which foreign-flag vessels are not. They must be owned by U.S. citizens, corporations, or governments and must be crewed mainly by U.S. citizens. ULCC: Ultra Large Crude Carriers. Tankers larger than 300,000 dwt. ULD (UNIT LOAD DEVICE): A pallet or container for freight. UNIFORM COMMERCIAL CODE: The Uniform Commercial Code, or Uniform Customs and Practice for Documentary Credits ICC Publication No. 500, was first established and published in 1933 by the International Chamber of Commerce. Revisions were made in 1951, 1962, 1974, 1983, and 1993. The code defines documentation standards to be followed by international banks when negotiating letters of credit. The code is binding, and seeks to define a worldwide standard applicable to all involved in international trade, exchanging goods, and money using the international letter of credit. UNITIZATION: The packing of single or multiple consignments into ULDs or pallets. UNIVERSAL POSTAL UNION: The organization which negotiates international mail charges. UNMANNED MACHINERY SPACES: A space where alarm bells are installed on the bridge of a ship to trace or rectify any machinery faults. The computerized devices will report any fault immediately it appears and the engineers on board can attend to the necessary ramifications. UNSEAWORTHINESS: The state or condition of a vessel when it is not in a proper state of maintenance, or if the loading equipment or crew, or in any other respect is not ready to encounter the ordinary perils of sea. VALUATION CHARGES: Transportation charges assessed shippers who declare a value of goods higher than the value of carriers’ limits of liability. VLCC (Very Large Crude Carriers): Tankers between 200,000 and 300,000 dwt. VOYAGE CHARTER: A contract whereby the shipowner places the vessel at the disposal of the charterer for one or more voyages, the shipowner being responsible for the operation of the vessel. WAR RISK: The possible aggressive actions against a ship and its cargo by a belligerent government. This risk can be insured by a marine policy with a risk clause. WAR RISK INSURANCE: Insurance issued by marine underwriters against war-like operations specifically described in the policy. In former times, war risk insurance was taken out only in times of war, but currently many exporters cover most of their shipments with war risk insurance as a protection against losses from derelict torpedoes and floating mines placed during former wars, and also as a safeguard against unforeseen warlike developments. In the U.S.A., war risk insurance is written in a separate policy from the ordinary marine insurance; it is desirable to take out both policies with the same underwriter in order to avoid the ill effects of a possible dispute between underwriters as to the cause (marine peril or war peril) of a given loss. WAREHOUSE RECEIPT: A receipt of commodities deposited in a warehouse identifying the commodities deposited. It is non-negotiable if permitting delivery only to a specified person or firm, but it is negotiable if made out to the order of a person or firm or to a bearer. Endorsement (without endorsement if made out to bearer) and delivery of a negotiable warehouse receipt serves to transfer the property covered by the receipt. Warehouse receipts are common documents in international banking. WAREHOUSE-TO-WAREHOUSE: A clause in marine insurance policy whereby the underwriter agrees to cover the goods while in transit between the initial point of shipment and the point of destination with certain limitations, and also subject to the law of insurable interest. The warehouse-to-warehouse clause was once extremely important, but marine extension clauses now often override its provisions. WARRANTIES (1) EXPRESSED WARRANTY: An agreement written in a marine underwriter’s insurance policy which must be strictly and literally complied with. A violation voids the insurance, e.g., trading warranties. (2) Implied Warranty: – Fundamental conditions implied in a contract of marine insurance are seaworthiness of the vessel and the legality of the venture. WATCH: The day at sea is divided into six four-hour periods. Three groups of watchstanders are on duty for four hours and then off for eight, then back to duty. Seamen often work overtime during their off time. WEIGHT: (1) GrossThe weight of the goods including packing, wrappers, or containers, both internal and external. The total weight as shipped. (2) Net – The weight of the goods themselves without the inclusion of any wrapper. (3) Tare – The weight of the packaging or container. (4) Weight/Measurement Ton – In many cases, a rate is shown per weight/measurement ton, carrier’s option. This means that the rate will be assessed on either a weight ton or measurement ton basis, whichever will yield the carrier the greater revenue. For example, the rate may be quoted based on 2,240 pounds, 40 cubic feet, one metric ton, or one cubic meter. (5) Weight Ton There are three types of weight ton: the short ton, weighing 2,000 pounds; the long ton, weighing 2,240 pounds; and the metric ton weighing 2,204.68 pounds. The last is frequently quoted for cargo being exported from Europe. WEIGHT LOAD FACTOR: Payload achieved as against available, expressed as a percentage. Volume rather than weight frequently limit cargo; load factors of 100 percent are rarely achieved. WEIGHT, LEGAL: Net weight of goods plus the inside packing. WHARFAGE: A charge assessed by a pier or dock owner against the cargo or a steamship company for use of the pier or dock. WITH AVERAGE (WA): A marine insurance term meaning that shipment is protected for partial damage whenever the damage exceeds a stated percentage. WITH PARTICULAR AVERAGE (WPA): An insurance term meaning that partial loss or damage of goods is insured. The damage generally must be caused by sea water, and many terms specify a minimum percentage of damage before payment. It may be extended to cover loss by theft, pilferage, delivery, leakage, and breakage. WORLDSCALE: An index representing the cost of time chartering a tanker for a specific voyage at a given time. The index is given at Worldscale 100, which represents the price in dollars per ton for carrying the oil at that rate. The negotiated rate will be some percentage of the index value.